I have always loved cheesecake. So when I saw The Coconut Mama’s recipe for Crustless No-Bake Cheesecake, I totally wanted to make it. Bookmark #1 on my computer. 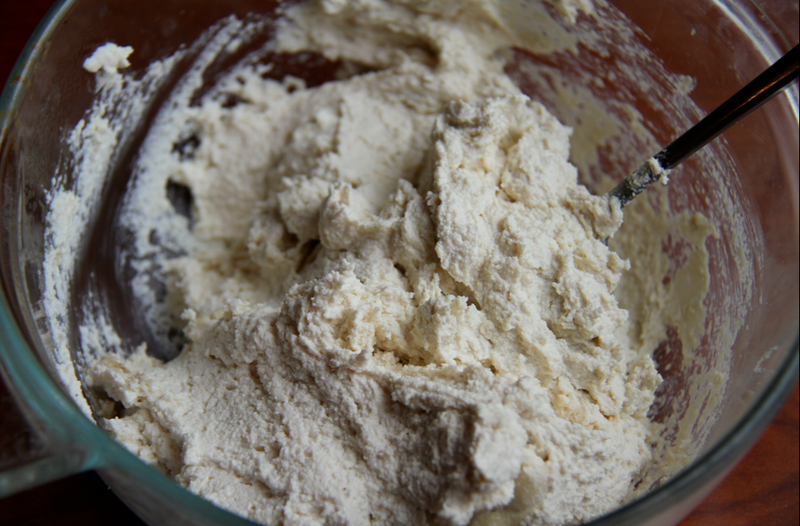 A few days later, I came across a recipe for fermented cashew cheese from The Spunky Coconut. I love all things fermented. I do. I’m a dork, and I get excited when my sauerkraut starts to bubble. I have seen nut cheeses before but never one that was cultured using probiotics. 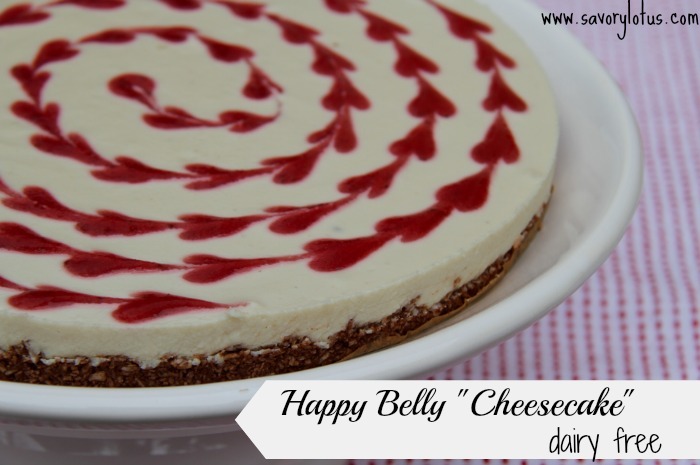 What a great idea for a dairy free cheesecake! Bookmark #2 on the computer. I got to thinking. I don’t have anything against dairy- raw dairy that it. Raw whole dairy is a wonderful food that my family enjoys regularly. I get a gallon of raw milk from a local farmer every week. It’s a precious commodity around here as I pay almost $20 a gallon for it (totally worth it, I may add). I try to avoid pasteurized dairy products as they are a highly processed, can be difficult to digest and are lacking in enzymes and nutrients. 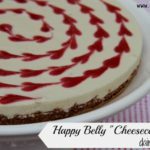 And since I don’t regularly make my own RAW cream cheese, why not use fermented cashew cheese to make a no-bake dairy free cheesecake. What I love about a good cheesecake is the tartness. I have made a cashew dairy free cheesecakes with lots of lemon juice before to achieve that taste. I was skeptical at first of the cashew cheese. But it REALLY did smell and taste similar to cream cheese. And it was tart- in a good way. The crust idea was inspired by THIS delicious pie recipe from Empowered Sustenance. It uses only shredded coconut instead of the usual nuts and dates crust that I make. I just added a titch of cocoa to it to give it a bit of chocolate flavor. Bookmark #3. 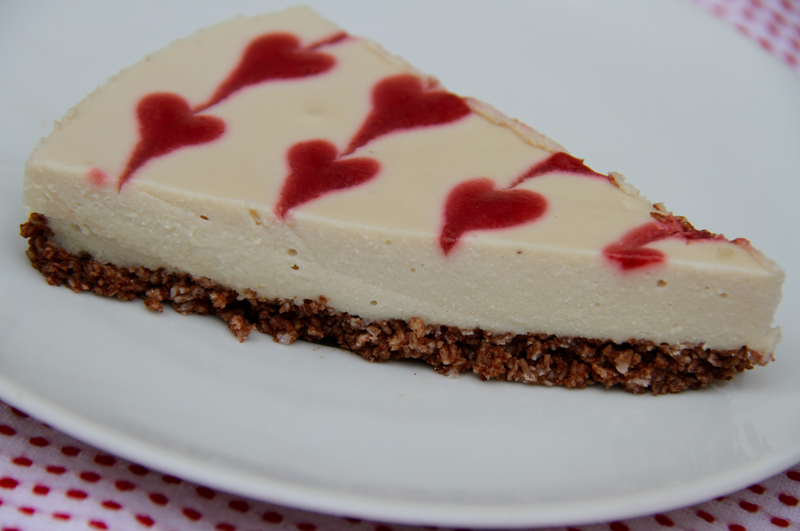 Once I made the decision to attempt the no-bake cheesecake with fermented nut cheese, I wanted to make it pretty. I saw THIS post on pinterest a while back and thought it was the prettiest cheesecake that I had ever seen. It had HEARTS all over it. Enter recipe #4. I was all set to go. It turned out fabulous. It was beautiful, it was delicious, and it tasted like cheesecake. It was a total hit. We ate the whole thing in one day. I hope you enjoy it! The night before making this dessert, puree the soaked cashews (drained), coconut milk, and salt until completely smooth and creamy. Be patient. This will take about 10 minutes. Scrape the sides once or twice. Once smooth, put in contents of probiotic capsules. Process briefly to combine. Place mixture into a clean bowl, cover, and place in a warm place to ferment for 12 hours. Some folks just place in oven with the light on, some use a heating pad, and I use my Excalibur dehydrator set to 100’F. Line spring form pan with parchment paper. Pulse all crust ingredients until well combined and sticking together. Press mixture into a spring form pan with your hands. Set aside. Simmer strawberries on low-medium until they start to sweat. Add sweetener of choice and continue to simmer for 7 minutes to cook down the berries. Puree with immersion blender or regular blender. Allow to cool slightly. In a large bowl, pour hot water over 2 tsp of grass fed gelatin. Let sit for 2 minutes. Blend with hand blender to fully combine and to dissolve gelatin. Add rest of filling ingredients (cashew cheese, sweetener of choice, coconut oil, and vanilla extract) and continue to blend until completely smooth and creamy. Pour evenly over coconut crust. 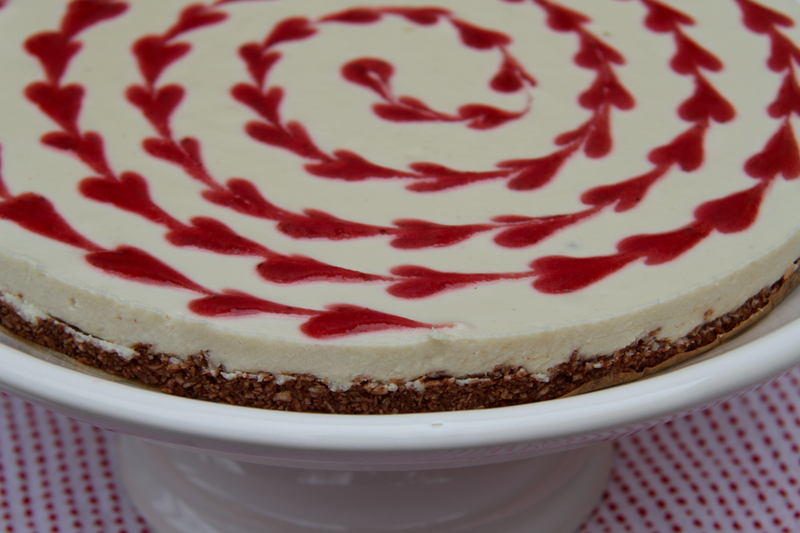 Use a clean medicine syringe and make little dots of berry sauce in a spiral pattern around the cheesecake. 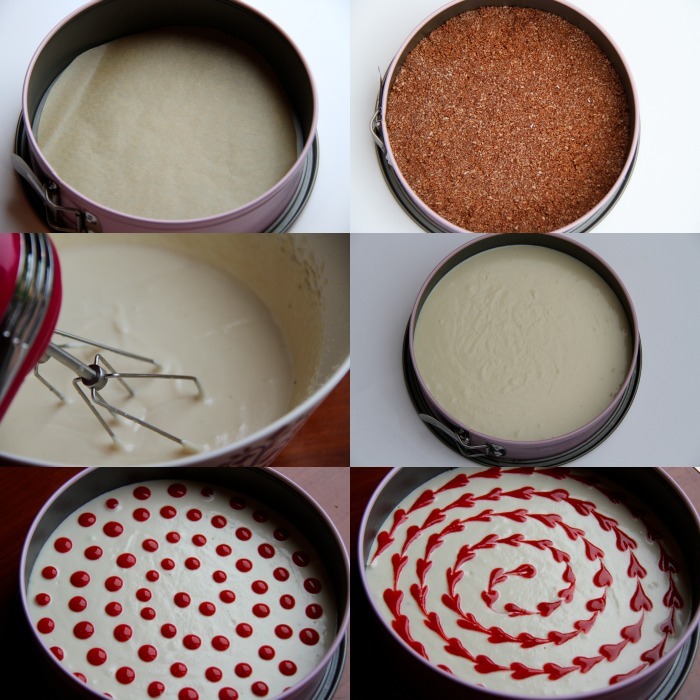 Starting from the center dot, drag a toothpick through each dot until you reach the outside of the cake. Don’t lift the toothpick until you get to the last dot. And don’t worry, if you don’t want to get all fancy, this “cheesecake” tastes great with the sauce just drizzled over the top. Place in fridge and allow to set for AT LEAST 2 hours. Then gently run a knife along side of pan and open spring form. Enjoy! 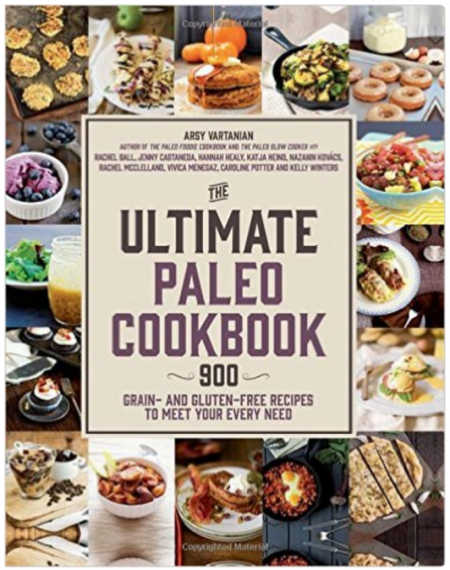 I’d hate to make this without one clarification about the number of probiotic capsules I’ll need. The recipe calls for 40,000 to 50,000 probiotic “strains.” My probiotic has 6 beneficial probiotic “strains,” and each capsule has 3.4 billion probiotic “bacteria.” So do I only need a fraction of one capsule to be enough? Thanks for your help. This looks so good. 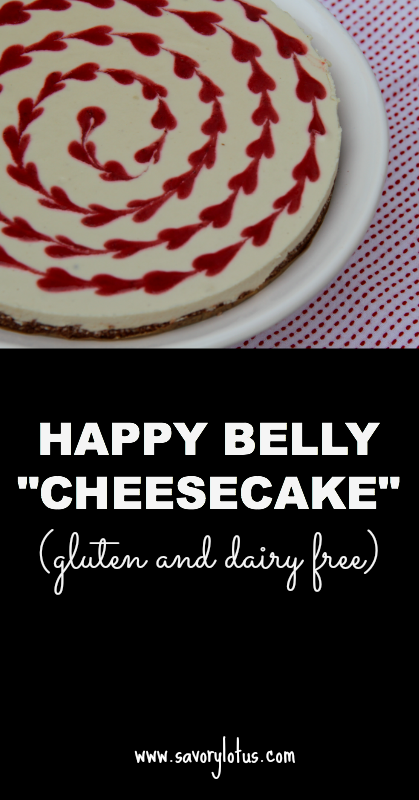 I may be redeemed by my family for dragging them through this new way of eating if I can make a yummy dairy-free cheesecake! 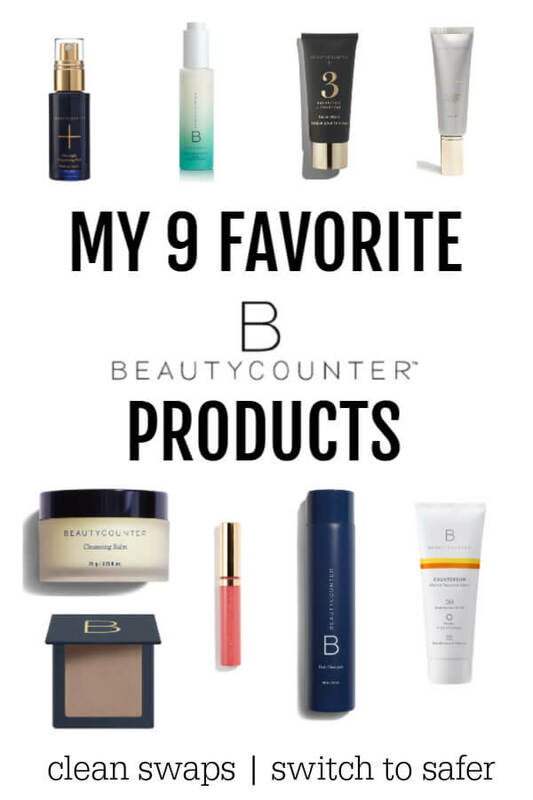 The capsules that I use have 10 billion bacteria per capsule so I used 5. I have also used capsules that have 4 billion bacteria and I used 10 plus capsules. Sorry about the confusion. I reworded the post to say “bacteria” instead of “strains.”If you have 3.5 billion bacteria, you will want to use at least 11 of them. Seems like a lot but that is what the recipe calls for. I haven’t tried using less as I wanted my cashew cheese to really ferment. I would love to hear what your family thinks of this. My kids devoured it. You can always play with the recipe- make it sweeter or change the crust to suite your family’s tastes. Katja, did you use the honey or the REAL maple syrup when you made yours? Sounds delicious! Katja, what size pan did you use? Looks amazing! Hi! I am pureeing the cashews right now, but I’m using ones that I already soaked and dehydrated, so I’m having to add an additional .5 cup coconut milk to get them to puree properly. I assume you used freshly soaked cashews, so they would have more moisture in them….am I on the right track? Yes, the cashews are soaked in water for at least 4 hours. This softens them and gives the pie a creamy consistency. How did it work out using your method? Yes, it worked out fine, thanks! Delicious and soooo creamy. I’d rate the recipe, but haven’t tried it yet. I don’t tolerate beef products so can’t use the gelatin. I’m thinking of using agar agar flakes. Will that work?